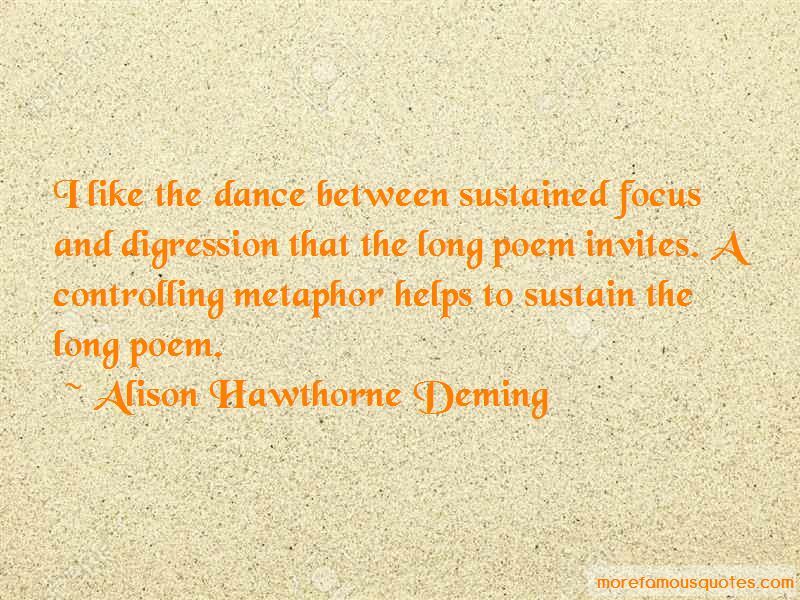 Enjoy the top 57 famous quotes, sayings and quotations by Alison Hawthorne Deming. Earth's immune system - its rapid response team of self-protection - becomes invigorated at times of peril. And one sees it at play now in the upwelling of grassroots work aimed at finding a sustainable future. I am a result of what has happened on this planet - how could I find the art to say that? I can't, and yet, I am drawn to it because of the enormity of it. That seems really important. There are landscapes and species that are not going to be here a hundred years from now, fifty years from now. One gift we as writers give to the world is to bear witness to these landscapes and species as we have experienced them. I'm just really interested in the interface of the individual with the collective. I think that's where the arts live. I'm really interested in culture because it is such a powerful human force, particularly in America where we think it's all about the individual. I'm trying to learn something about making a balance between the inner life and the outer life. I wouldn't write if I didn't need to be making those discoveries, if I didn't feel the perpetual ignorance of being a human being. What keeps me level is the refusal to let the best of human aspirations die in the face of the challenges. I make a moral decision to be hopeful. 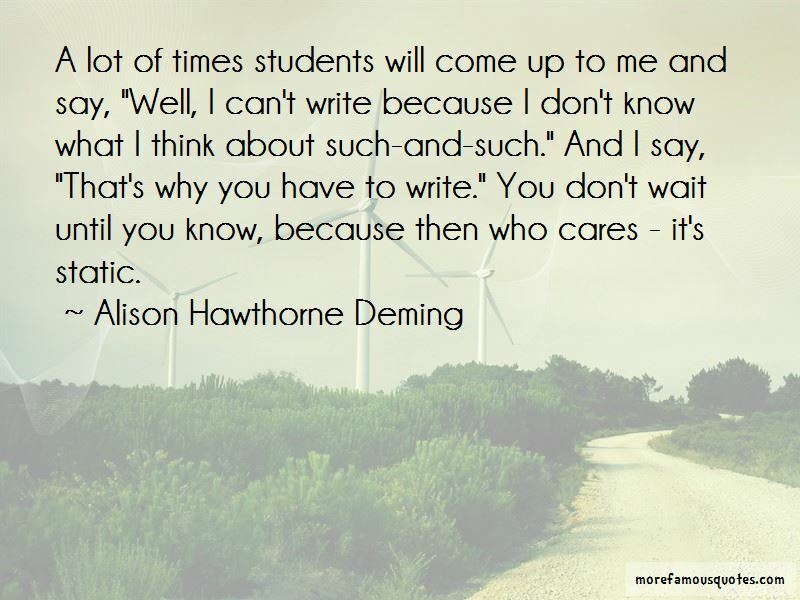 I had wanted for so many years to feel that writing really was at the center of my life, not something I did in my spare time. So the writing and teaching feel in some way to be one thing - the personal engagement and the social engagement good partners. 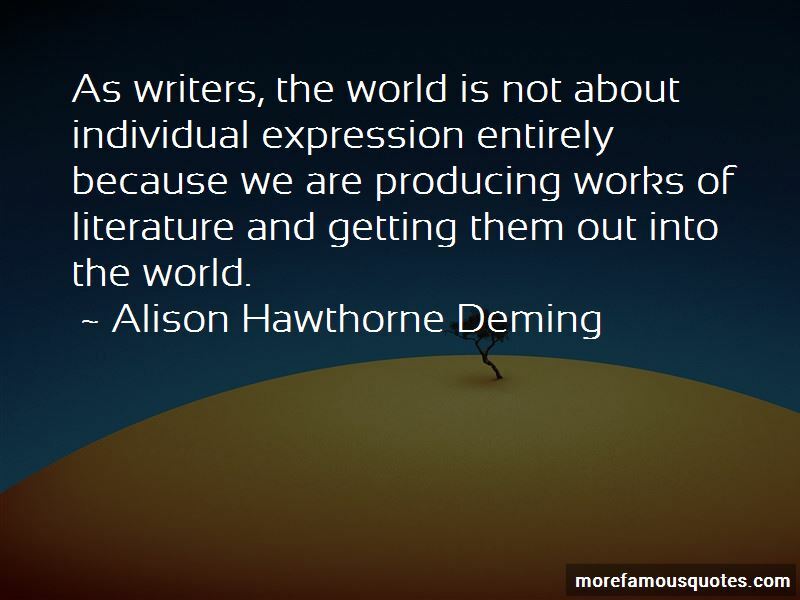 Want to see more pictures of Alison Hawthorne Deming quotes? 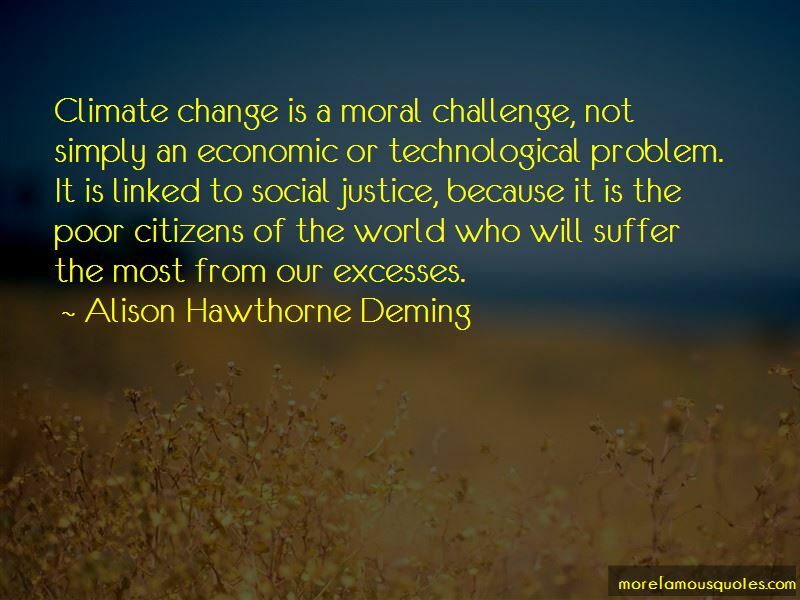 Click on image of Alison Hawthorne Deming quotes to view full size.